Having beautiful teeth can greatly improve a person’s sense of confidence and have a lasting positive impact on their quality of life. If you’d like to make changes to your appearance, let Dr. Albert, Dr. Stylski, and Dr. Snow help here in New Lenox, IL. We offer a wide range of cosmetic procedures that can repair common imperfections and revitalize your smile’s natural glow in exceptional ways. Each person is unique, which is why we always start with a one-on-one consultation in order to better understand your personal goals and preferences. To schedule this visit, contact Atrium Family Dental today. 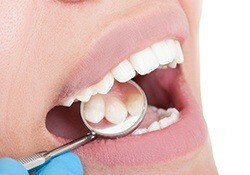 Why Choose Us for Cosmetic Dentistry? Porcelain veneers are ultra-thin ceramic restorations that are designed to be placed over the visible surfaces of requested teeth. All at once, our dentists can use them to hide years of stains, chips, cracks, and even gaps, creating a natural-looking and flaw-free appearance that patients can enjoy for 10-15 years or even longer. In most cases, the design and creation of customized veneers will require at least two appointments here in New Lenox. A small amount of natural tooth enamel will need to be removed in order to accommodate their placement; while waiting on the finished veneers from the dental laboratory, a temporary set will be provided in the interim for protection. One of the biggest benefits of porcelain veneers is that they’re extremely durable and resistant to staining. In fact, they will stay whiter longer than even natural tooth enamel. When one or more teeth need restorative care, patients don’t have to worry about sacrificing their smile’s natural appearance in the process. At Atrium Family Dental, we’re happy to offer metal-free materials that provide top-tier aesthetic value. The ceramic is so seamlessly lifelike that it even reflects light in the same way as tooth enamel, and its biocompatible nature won’t react strongly to changes in temperature or irritate patients with proven allergies to common dental metals. Direct bonding is an excellent service for patients who would like to make aesthetic changes to their smile on a quick timeframe. In most cases, the procedure only requires one appointment. One of our dentists will apply tooth-colored composite resin that’s been precisely shaded to match your smile and artistically sculpt it into place to hide frustrating chips, thin gaps between teeth, dark spots, or other minor imperfections. 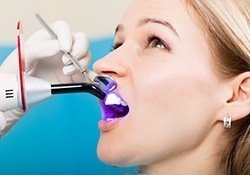 Once we’re satisfied with the results, a hi-tech curing light will securely harden the new addition into place. While the improvements patients achieve from direct bonding will not last as long as more permanent restorations like porcelain veneers, they should thrive for several years at a time with the help of diligent oral hygiene maintenance and regular dental checkups. One of our most popular services here at Atrium Family Dental is professional teeth whitening, and it’s not hard to understand why. 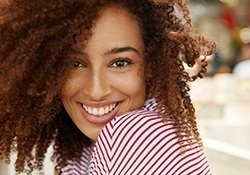 Nearly every smile is likely to become stained and discolored over the years, whether because of lackluster oral hygiene, eating habits, or simply old age. Our doctors would love to help you reverse this process and reclaim a gloriously bright appearance. If you’re looking for fast, dramatic improvements, in-office teeth whitening with Boost is the right choice. A concentrated peroxide gel will be applied directly to the enamel in several 15-20 minute sessions back-to-back. In most cases, patients can achieve the noticeably lighter enamel they want after just one appointment, although severe cases of staining may require a follow-up visit to maximize success. Take-home Ultradent Opalescence whitening kits are also available for a more flexible and gradual treatment process. Do you feel overwhelmed by the number of cosmetic problems your smile is facing? At Atrium Family Dental, we’d be happy to sit down with patients and help them devise the ideal makeover. By taking the time to understand your personal priorities and arrange needed service into a comprehensive plan of action, we can fully maximize your budget and schedule to the fullest extent possible, correcting issues like misalignments, dark staining, noticeable cracks, and even missing teeth beautifully!